Here at Best Plumber Boca Raton, we pride ourselves on two things: providing the best, highest quality service possible and putting a smile on your face. If you have a plumbing emergency or just need maintenance on your pipes, faucets, or anything else, then we are the right team for the job. We will send one of our plumbers and technicians to save your day and get your life back in order. Being that we are centrally located right here in Boca Raton, FL area we are able to get out to your emergency or plumbing disaster as quickly as possible. We offer excellent and fast service to get your life back in order. Plumbers in this area are a dime a dozen so picking one that you can trust in your home is very important. Finding a loyal plumber that provides amazing work is a difficult task. Instead of taking our words on it, we suggest listening to the reviews of our customers online or by asking us to provide them for you. Our fast, affordable, and professional plumbing services will handle your home or business needs from small to large. ​We put our technicians through vigorous trainings and allow them to continually expand their education and knowledge within our plumbing world. From pipe bursts to water conservation techniques, we want our team to be the best. To be the best, you have to consistently step your game up and provide the best. 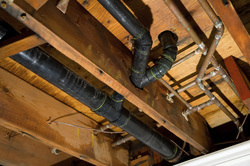 This is why we are always learning and using the latest technology and state-of-the-art plumbing methods. We attend new conferences, purchase new books and education systems, and are constantly trying out our own ideas to change the game for plumbers everywhere. We want our maintenance techniques and successes to take over the world as the constant approach to plumbing. Most Boca Raton and Palm Beach residents and business owners come to us to handle their drain, sewer, water, and all plumbing needs. Having a combined experience of decades on decades, we are able to perform all of the new and old techniques to ensure we can tackle any problem your pipes can throw at us. We have literally seen it all so we welcome you to contact us with your plumbing needs. Give us a call today and see what we can do to provide you with the best residential or commercial plumbing needs. We do not use any under qualified nor any handy men when we work on your home or business. We want to ensure that you are getting the greatest service possible by making sure that everything runs smoothly. We show up to your building with a fully stocked vehicle allowing us to handle any job you can throw at us and eliminating any need to “go back to the shop” and gather parts or tools. We take a fantastic pride in the business we have created and we want you to experience the feeling of complete satisfaction. Our number one compliment from our clients is that our plumbers are so nice, respectful, and courteous. See the service we provide by giving us a call today.